Regular members are contractors (industrial, commercial, or heavy-highway) who employ at least one of the crafts for which the association holds the bargaining rights. All regular members of the association are entitled to vote in important decisions confronting the future of the Northwest Indiana construction industry. All regular members of NWICA are subject to certain restrictions and obligations under the association by-laws regarding labor contract negotiations and labor disputes. Recognizing the necessity for a single source of responsibility for capital project development services, ACMS Group, Inc. was established in 1995 to provide services to many major corporations, along with the engineering and construction companies supporting them. As ACMS has grown, we have proven strength in our name by providing state-of-the-art consulting and design services, while recognizing the importance of dedication to customer service and building relationships. ACMS Group, Inc. is an active participant of the customer's project team. We work together to create defined objectives combining your goals with our experience. Our priority is to build relationships with our clients. The passion in what we do creates a solid foundation in our work, and in the longevity of our clients. Apache Industrial United is a unionized company specializing in industrial scaffolding, painting, sandblasting, asbestos and lead abatement, insulation, fireproofing, and refractory services. When it comes to taking on a project, there’s almost nothing like the role of steel. Providing the backbone and strength to structures is the goal of our steel services, which now have a new regional launching point in Portage, Indiana. We’ve been evolving the process to give our clients better results. Though we have worked with structural steel for years, our self -perform services saw a sharp increase beginning in 2014 with a number of General Motors projects. From procurement to detailing and erection, working with steel is a core strength of Barton Malow from healthcare to automotive clients and everyone in between. And as an American Institute of Steel Construction (AISC) certified erector, quality is at the forefront of every endeavor. In an effort to expand the company’s offerings, Barton Malow has acquired Pyro Industrial, a refractory specialist. With this acquisition, Barton Malow has added talented new team members and unparalleled refractory services for a wide array of material—brick, shotcrete, fiber, precast and metal. In addition, the acquisition means Barton Malow new Indiana location is available to better serve clients in the region. When it comes to the services in our Portage location, the role of technology and innovation is unmatched. Our Virtual Design & Construction team creates a top-to-bottom approach to every project we take on. They develop 3D steel modeling to assist in Quantity Takeoff, planning, and real time master model coordination. This helps coordinate schedules between our team and the client, all the while giving us the opportunity to visualize the field and adjust—all before boots even hit the ground. Want to hear more about our Portage office and their specialization in steel? Reach out Barton Malow to discover and discuss the best way to deliver your project! Today, the company is the region's leading contractor in historical preservation and a top builder in the area. Cost-Saving Planning - With smart strategies such as cost segregation studies that reduce owners' tax liabilities, value engineering opportunities that can slash product costs dramatically and energy audits that yield long-term savings, we help owners reduce costs without sacrificing safety or quality. Green Building - Berglund's professionals with Leadership in Energy Efficiency Design (LEED) accreditation are trained and certified in sustainable design and construction practices. Since 1955, BMW Constructors, Inc. has evolved into a process-driven company providing repeat service to a prestigious list of "blue chip" customers in the petrochemical, refining, pharmaceutical, chemical, biotechnology, power generation, semiconductor, food processing, metals, hospitals, healthcare and manufacturing industries. Through our highly-skilled craftsmen and unique, cutting-edge processes, we proudly earn our customers' trust and respect each day. BMW Constructors, Inc. performs best when acting as the prime contractor, providing leadership to all crafts on site beginning with preliminary engineering, and continuing on through final commissioning. We provide extensive safety training, apply industry "Best Practices"and match unique cost reduction solutions, including Lean Construction Methods, to all of our customers' construction requirements. With effective safety planning, hazard identification, environmental awareness, employee participation and behavior-based risk intervention, we effectively integrate customer safety & health expectations into the fabric of our offering throughout North America. We are committed to teamwork, training and customer-for-life principles that make the critical difference in achieving total customer satisfaction. BMW Constructors, Inc. is an extremely focused general industrial contractor performing multi-million dollar capital projects, in-plant maintenance, turnarounds and outages throughout North America. While we perform a wide array of services, our core service lines include installation of process piping, pipe fabrication, high purity piping, specialty welding, steel erection, boiler maintenance, sheet metal, fire suppression and other construction-related services. Finally, with eight (8) fabrication shops nationally, BMW Constructors, Inc. has also become a leader in providing off-site fabrication for specialty projects. 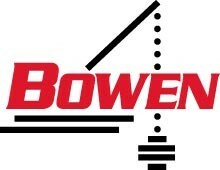 Founded in 1967, Bowen Engineering is an experienced self-performing general contractor with operation centers located in Indiana, Tennessee and Ohio. We perform work throughout the United States. We spent our early years as an innovative builder of water and wastewater treatment plants. As we later established ourselves in power, industrial and private utility markets, our clients praised not only our competence, but also our ethical and professional attention to fulfilling their needs. Our projects move ahead smoothly because we have total control over the construction process. Registered engineers (P.E. ), graduate engineers and experienced field superintendents provide leadership on every project. They focus on setting the standard for construction excellence every day. Long before the word "partnering" became a part of construction vocabulary, Bowen's project teams were finding ways to increase the level of trust and cooperation among project team members. Conducting our business in the spirit of teamwork is the cornerstone of Bowen's culture, and partnering is an integral component of every project. Bowen has become the contractor of choice for our clients. Our commitment to Zero Injury, Safe Quality Production (Bowen SQP), and collaborative leadership are heralded by our customers as a major advantage on their construction projects. Our performance delivers tangible dividends and make the construction process fun again. Central Rent-A-Crane was started in Whiting, Indiana in 1949 as a taxi crane business, renting cranes with operators on an hourly basis to contractors and builders working in the refinery and steel mills. It joined the ALL Family of Companies in 1977 and now has three offices in Indiana. Central offers crane rental both Operated and Bare as well as Lift Equipment Rentals. Central offers the largest, most modern fleet of lift equipment and cranes in the country. Our fleet includes: Hydraulic Rough Terrain Cranes up to 150 Tons; Crawler Cranes up to 1,000 Tons; Hydraulic Truck Cranes up to 900 Tons; and Industrial Cranes from 2 1/2 Tons to 25 Tons. The fleet also includes Tower Cranes and a wide variety of Aerial Work Platforms, including Scissor Lifts, Telescopic Booms and Articulating Booms, Boom Trucks and Industrial Rough Terrain and Telescopic Fork Lifts. We supply around the clock 24/7/365 Service. We rent the latest and most technologically advanced cranes from: Manitowoc, Grove, Link Belt, Terex Demag, Terex American, Liebhere, Broderson and Shuttlelift. Tower cranes from: Peiner and Potain. Aerial Work Platforms from: JLG, Skyjack, Genie. Upright and Snorkel Telescopic Fork Lifts from: Lull, Gradall, JLG. And Boom Trucks from: National Crane, Manitex and Terex. About Diamond Coring Company, Inc. Through acquisitions, hard work and persistence, we have distinguished ourselves as a leader in the Highway Concrete Pavement Restoration Industry. We possess the resources, capabilities, bonding and qualifications to perform the largest contracts. We believe that every project deserves our utmost attention and our commitment to provide outstanding service. Specialties Diamond Profile Grinding, Runway Grooving, Concrete Pavement Restoration, Concrete Cutting Contractors, Dowel Bar Retrofit, Joint Sealing, Rumble Strip Installation. The DLZ Industrial office consists of, on average, over fifty (50) full-time experienced survey personnel performing land surveying, construction surveying and machinery and optical tooling services and are affiliated with the Chicago Journeyman Plumbers' Technical Engineering Division Local 130. We also provide material testing and geotechnical/ environmental drilling services, as well as offer the services of our certified non-destructive structural steel inspection group all of whom are affiliated with the International Union of Operating Engineers Local 150. We feel the depth and experience of our resources will allow us to respond quickly to meet the demanding schedules of today's projects in a safe and efficient manner. The DLZ Corporation employs over 600 people including engineers, scientists, planners, and surveyors in 18 offices with a proud history spanning nearly 100 years. We are currently a member of the National Minority Business Development Council, Inc., an affiliate member of the Chicago Minority Business Development Council, Inc., and an Indiana Department of Administration certified Minority Business Enterprise. About Dyer Construction Company, Inc.
For nearly 65 years, Dyer Construction Company, Inc. has continued to complete any size earth moving project using our own machines and equipment teamed with our experienced staff of project management professionals and tradesmen. Both our public and private contracts have a range of $10 thousand to $50 million dollars. As an excavation contractor, our focus continues to be site preparation, water and sewer installation, flood retention, flat concrete, tilt-up walls, and all types of cast in place concrete. To improve accuracy and efficiency, we utilize GPS machine guidance technology. Additionally, we perform construction layout and staking for all of our projects. 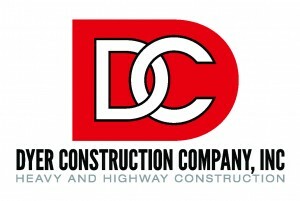 Dyer Construction Company is a prequalified contractor for the Department of Transportation in the states of Indiana and Illinois. 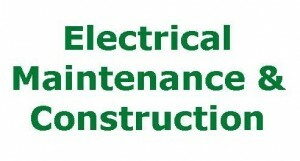 About Electrical Maintenance & Construction, Inc.
Hyre Electric is a full-service electrical contractor with a unique focus on the customer, a track record for safety and reliability, and a vast wealth of experience in every facet of the construction process, including life safety services, telecommunications, and electrical construction. Hyre Electric is located in Highland, Indiana. Hyre specializes in the design, integration, installation, start-up, testing, operation and maintenance of (i) distribution systems for electrical power (including power cables, conduits, distribution panels, transformers, generators, uninterruptible power supply systems and related switchgear and control); (ii) lighting systems, including fixtures and controls; (iii) low-voltage systems, including fire alarm, security, communications and process control systems. Hyre Electric provides electrical construction, telecommunication and electrical maintenance services directly to end-users (including corporations, municipalities and other government entities, owners/developers, and tenants of buildings) and, indirectly, by acting as a subcontractor for construction managers, general contractors and other subcontractors. Electrical construction services are principally either; large installation projects with contracts generally in the multi-million dollar range; smaller system installations involving renovation and retrofit work; and maintenance and service. In addition, we operate and maintain electrical systems for customers under contracts and provide other services to customers, at the customer's facilities, which services are commonly referred to as facilities management. We're Falk-PLI - a nationally recognized, innovative engineering and surveying firm serving the industrial, commercial and residential sectors. By implementing sophisticated, cutting-edge technology backed by our extensive experience we help our clients realize increased productivity and improved processes. The end result is VALUE that translates to millions of dollars in savings per year for our clients. In doing so, we operate in a spirit of continuous improvement and seek excellence in all that we do. Falk PLI has offices in Portage, IN, Mobile, AL and Pittsburgh, PA. Since 1960, G.E. Marshall Inc. has built a tradition of excellence in sitework that has made us a top contractor in Northwest Indiana and beyond. We are proud to contribute to one of America's most important hubs for transportation and industry. With decades of experience in excavation, grading, utilities, and demolition, our professional staff makes sure your project gets done right and is completed on time. Five decades of experience give us a competitive advantage in understanding your site's particular needs. We operate year-round in all types of weather to make sure your project is completed on schedule. G.E. Marshall Inc. has a full lineup of equipment and trucks so that what we need to get the job done is always readily available. We are experts in moving the earth, and respecting and preserving the natural environment is important to us. When you hire G.E. Marshall Inc., you can rest assured you have chosen a qualified, experienced, and responsible partner for your sitework needs. G.E. 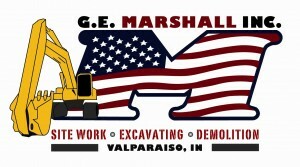 Marshall Inc. is your contractor of choice for every type of sitework service: preparation, excavation, grading, utilities and demolition. We also offer asphalt and concrete crushing, screening, and recycling. If you make us your project ally, you can depend on the results. We handle every stage and aspect of site preparation: demolishing existing structures, excavating for the foundation, grading the land, and excavating and installing the utilities. Choosing us for the complete package gives you even greater value, as we are experienced in coordinating every aspect of the job and delivering superior results on time. Manned by highly experienced operators, our lineup of excavation equipment is second-to-none in the region. We operate year-round, always delivering impressive results. G.E. Marshall Inc. is known throughout the region for grading expertise. To expedite productivity, we utilize GPS guided equipment to create consistent and accurate grades and slopes. Present us with your challenge and let us show you how we perform. We are your one-stop-source for excavation and installation of on-site and off-site utilities. This includes water, storm sewer, sanitary sewer, irrigation, fiberoptic, gas, electric, telephone, etc. Using advanced equipment and methods, we clear land, demolish structures, and remove foundations quickly and efficiently. We also recycle most demolition debris. G.E. Marshall Inc. makes sure that concrete and asphalt do not go to waste; we crush, screen, and recycle these useful materials. It is good business and good for the environment. About Gariup Construction Company, Inc.
After many years of participation in various successful construction partnerships, an innovative and ambitious Alex A Gariup founded Gariup Construction Co., Inc. in 1959. Our company has since surpassed its 50th anniversary and has grown into a multi-faceted, full service General Contractor serving Northwest Indiana and greater Chicagoland area. Our company is proudly operated by the third generation of the Gariup family. Alex M Gariup and Matthew M Gariup follow in the footsteps and traditions set forth by their grandfather as well as father, Michael A Gariup. We are proud of our rich history and the many completed projects throughout the region which highlight our long held principal of providing outstanding quality and service for our customers. We employ an array of experienced estimators, project managers, superintendents and skilled union craftsmen required to meet the needs of the most demanding customers. Our firm excels in its ability to self-perform demolition, excavation, concrete, masonry, carpentry, drywall and acoustic work utilizing our extensive inventory of specialized equipment ranging from hand held tools to hydraulic excavators. This "hands on" approach to the building process earns our company a strategic advantage when aggressive completion schedules are desired. Our company has successfully delivered projects on a Lump Sum, Design Build, GMP, and Construction Management basis and we have applied our experience to include Medical Facilities, Office Buildings, Multi-Family Housing, Public and Private Educational, Religious and Restaurant facilities. More recently, our firm has achieved success in the heavy/highway industry as well. We have completed a variety of Bridges, Culverts, Stream Restorations, Dam Construction, Urban Streetscapes and Bike Trails for many of our local communities. When you choose Gariup, you can have confidence that our team of qualified professionals will understand your needs and will have the necessary skills and equipment to deliver on our promise. Since 1955, we have been integrating our people, experience and resources into successful projects for a wide range of construction needs, including Commercial, Retail, Educational, and Parochial. At Gough, we have an ongoing dedication to the highest construction standards and to total customer satisfaction. About Graycor Industrial Constructors, Inc.
Ready, willing and driven to take on the hardest jobs in the industry. Financial stability, a vast network of resources, and a strong commitment to safety are must-haves for all large-scale contractors - no question. But at Graycor, we work hard to do even better. Since 1921, we've delivered all of the above, plus the hands-on, collaborative spirit that comes with being one of the most experienced family-owned companies in North America. Today, Graycor is a leading provider of construction, maintenance and facilities services throughout the U.S., Canada and Mexico. We offer clients in a variety of industrial and commercial markets the strength and experience needed to tackle the most sophisticated jobs and the flexibility to meet their toughest challenges. Grimmer Construction, Inc. has been incorporated since 1983 as a Site/Civil General Contractor. Continually striving to perform as the best civil contractor in Northwest Indiana, we specialize in underground utilities, earthwork, and site preparation. Our reputation as a quality contractor stands solid in the industry, and we are proud of our union workforce and employees who have worked hard to consistently execute at that standard of excellence to enhance the full range of our ability to produce quality projects. Our services include Site development, Storm and sanitary sewers, Water mains, Lift stations, Road construction, Site grading, Excavation, Wetland mitigation, and Erosion control revetment installation for the Industrial, Commercial, Municipal, and Public Works sectors of Northwest Indiana and adjoining communities. About Hasse Construction Company, Inc.
Bill and John Hasse are the third generation to run Hasse Construction Company, Inc. The history of this business has made up all that Hasse Construction is today. The business was first known as Public Construction Company, dating back to 1920. From 1920 to 1933 William A. Hasse worked at the business as a bookkeeper. He won $18,000 in the Irish Sweepstakes in 1933, which was a lot of money following the depression. He then bought out one of the partners in the company. In 1956, William A. Hasse Sr. and William A. Hasse Jr. bought out the other partner of the business. The two then became part owners of the company, which then changed its name from Public Construction Company to Hasse Construction Company, Inc. In 1966 William A. Hasse Sr. retired, and William A. Hasse Jr. took over as President. William A. Hasse III (Bill) joined the company as a Project Manager in 1982. William A. Hasse Jr. unexpectedly passed away in 1984. Bill took on this challenge head on, and officially became president on January 1, 1985, at the age of 27. Bill’s youngest brother John joined the company on April 1, 1991. With lots of hard work, a good reputation built by Bill and John’s father and grandfather, and a little luck, the company worked its way out of debt, paid off the bank, and expanded its opportunities. Since then Hasse has expanded to many sectors including General Contractor, Design/Build Services, Excavation and Site Work, Sewer and Underground Utilities, Concrete Construction, Office Building, Structural Steel and Metal Building Erection. Hasse hires good quality, hard working, experienced personnel and keep them trained in the different types of construction. Thanks to all of their hard work and dedication, Bill and John Hasse have successfully been able to secure a place for Hasse Construction for generations to come. IHC Construction Companies LLC is a diverse contracting company. Diverse in what we build and how we build it. With a Corporate Office located in the Northwest Illinois suburb of Elgin and a Southeast Regional Office in Marietta, Georgia, we build public and private institutions that service our communities, along with the infrastructure that connects them. Our project diversity creates a synergy of knowledge, problem solving and service that builds excellent projects and experiences for our clientele. As General Contractors, Construction Managers and Design-Builders, we build. We fully engage on our projects under all delivery models. We are a company of resources in both skilled labor and construction equipment that gives us the ability to agilely react to the wide variety of circumstances that can arise during a construction project. We are a company over 113 years old with a solid reputation among our clientele and the sub-contract community. If you’re looking for a contractor who provides value and excellent service with a hands-on get it done attitude, hire us. In 1960, George Korellis began a residential roofing business out of his home. Since that time, Pete Korellis, current President and Owner of this second-generation business, with the help of many dedicated employees, has grown the business to encompass industrial and commercial sectors, with over 120 employees. 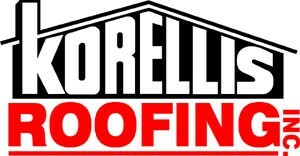 Korellis Roofing continues to maintain the company's original core principles of honesty, integrity and customer satisfaction. By combining industry-leading talent, cutting-edge technology and award winning results, Korellis Roofing has earned a reputation as one of the premier roofing contractors in in the Chicagoland area, as well as the honor of being the largest roofing contractor in Northwest Indiana. We are committed to surpassing customers' expectations while providing our customer with the highest quality and most current standards in the roofing and sheet metal industry - all at a reasonable price. We strive to attract and retain dedicated, professional and highly trained work associates by providing a safe work environment, which is conducive to learning, creativity, advancement and continuous improvement. We realize that by accomplishing the above, we have the greatest opportunity of creating long-term relationships not only with our external business customers, but also our internal associates, which is the core of Korellis Roofing, Inc.'s past and future business. Being in business since 1960 is only a small part of our overall experience. Korellis has installed millions of square feet of roofing systems. Under difficult conditions, often on projects with structural deck replacements, severe slopes, and poor logistics, work has been completed cost effectively and safely, while at the same time achieving some of the highest honors in the roofing industry. 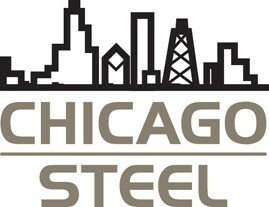 We have worked at some of the largest steel mills in North America, as well as hundreds of churches, schools, government and office buildings, nuclear power plant and multi-million dollar casinos on Lake Michigan. We've completed roofs with a wide variety of shapes, sizes and slopes; used time-tested materials; and established safe environmental procedures during the removal and disposal of asbestos-containing roofing materials (ACRM). But, Korellis' real advantage comes from staying on the cutting edge of roofing technology. We keep on top of the new product research and select tested, state-of-the-art materials to add longer life and cost savings to your project. About Larson-Danielson Construction Company, Inc. Since 1908 our firm has been involved in many noteworthy projects in northwest Indiana. Today the company continues as one of the areas leading contractors. Larson-Danielson has been recognized by Northwest Indiana Business Quarterly's readers as the Best Commercial Construction Company for the past seven years. Larson-Danielson's ability to construct even the most challenging projects is demonstrated by the numerous projects we complete each year and the amount of work we do for repeat clients. In our commitment to providing the highest quality construction services, we have developed the technical and personnel resources that allow you to benefit from our ability to complete projects with uncommon efficiency and cost effectiveness. Our construction management and design/build services offer alternatives to the traditional contracting approach and provide enhanced project control from planning and design to construction and final occupancy. The experience of our project managers, engineers and superintendents combined with our comprehensive project control systems will significantly enhance the cost effectiveness, schedule and quality of any project. You can rely on Masterlink Concrete Pumping to perform reliable concrete pumping 24 hours a day. Our operators are ACPA certified and OSHA trained. We have one of the largest fleets in the area, capable of handling any size of project. Whether you're replacing a patio or constructing a multi-million-dollar building, we have the experience and supplies to meet your needs. We serve customers throughout Indiana, Illinois, and Michigan. The Pangere Corporation is an integrated construction service center for building construction, repairs, and maintenance. Over a century of diverse experience and specialized expertise in several key construction disciplines allows us to implement a "best practices" approach to every project. As a third generation family owned and managed company, we've earned a reputation for uncompromised integrity and customer satisfaction that continues to foster long-standing relationships. About Powers & Sons Construction, Inc. Powers & Sons Construction Company is a highly respected commercial, industrial and institutional construction company. The capacity to perform our own excavation, concrete, and carpentry work has made it possible to meet critical deadlines that clients have come to appreciate and respect. For more than 45 years, Powers & Sons has built a solid record of integrity, quality, and cost effectiveness in the general contracting, construction management, and design-build industries. Powers & Sons employs a professional support staff to help the company meet our client's needs. We pride ourselves on our amicable relationships with local unions to ensure successful and timely completion of our projects. While corporate headquarters remains in Northwest Indiana, the firm has expanded to include fully staffed offices in Indianapolis, Indiana, and Chicago, Illinois. Each office remains committed to its immediate community as well as providing comprehensive services to clients who have needs in the greater Northwest Indiana, Central Indiana and Chicagoland regions. Since 1986, Precision Builders, Inc. has been building and remodeling various commercial and residential construction projects throughout Northwest Indiana. Specializing in general contracting and carpentry, our focus on quality delivers the product that our clients want. From fire restoration, to apartment renovations, to new single family construction we strive to provide the best for our clients. Our experience gives us the ability to deliver virtually any custom building project or remodel that our clients need. Our project management, organization, and standard of quality provides custom craftsmanship through skilled professionals. Whether it's a residential or commercial project or you just need some valuable information, we have a service to help you meet your goals. About Railworks Track Services, Inc.
North America's leader in Track and Transit & Systems construction and maintenance services. RailWorks Corporation builds and maintains rail transportation infrastructure that keeps people and goods moving across the United States and Canada. We provide railway construction and railroad maintenance services for a range of clients, from major transit authorities and transportation agencies, to industries served by rail, ports, waterways and utilities, to railroads of all sizes. About Rieth-Riley Construction Company, Inc.
Rieth-Riley Construction Co., Inc. is a full service heavy and highway construction contractor. Since our founding in 1916, Rieth-Riley has built a reputation for quality and dependability owners and developers can count on. The company's many locations throughout Indiana and Michigan have provided quality construction for decades. Rieth-Riley is proud to be a 100% employee-owned company. Our success as employee-owners is earned each day through delivery of successful projects for our customers. Rieth-Riley's management and construction team is a collection of experienced and talented estimators, project managers, superintendents and union craftspeople. Make Rieth-Riley your contractor of choice and we'll make it our goal to provide you with a quality project, delivered safely, on time, and within budget. Roger & Sons Construction, Inc.
About Roger & Sons Construction, Inc.
Roger & Sons Construction, Inc. is a full service certified D/MBE union contractor providing the highest level of safety, professionalism, service response, and quality craftsmanship. Our mission is to build a concern where success is measured by integrity, character and the value received by the customer. Since our inception in 1988, Roger & Sons has successfully completed local and country-wide projects of varying sizes and has a fully qualified and safety certified staff to ensure timely and successful projects. Roger & Sons Construction, Inc. is a DBE certified contractor for the Department of Transportation in the states of Indiana and Illinois and Nationally certified MBE. Safway scaffold solutions have been used by over 50,000 customers ranging from Fortune 500 companies to local subcontractors. With one of the largest in-house engineering departments in the industry, specialized scaffold options can be designed to meet any challenge. Safway Services is the only scaffold company so dedicated to scaffold training and safety, that we created our own Scaffold Training University. Over 43,000 employees and customers have benefited from this leading edge approach to scaffold safety. Safway is the only scaffold company with its own Training University. We have trained more than 34,000 valued customers, including OSHA employees, and over 17,000 Safway employees throughout the United States and Canada. Safway continues the tradition of scaffold safety excellence by offering a variety of training options for various skill levels, all taught by experienced Safway personnel. We employ one of the industry's largest in-house staff of engineers and designers to solve the most complex scaffold problems. Engineering strikes at the core of what makes Safway a leader in scaffold products and services. Our Technical Services Department is fully capable and readily available to serve your scaffolding needs. Our professional labor crews are locally-based for faster response, especially in emergency situations. Our outstanding safety record is evidence of our commitment to the safety of our employees, customers and the public. Safway's services include scaffold assembly and disassembly expertise to match any job size, location or industry. We have built scaffolds from 10 to 400 feet high. Our professionally trained labor crews have the skills and safety training to perform work at any height, in any location, to help your project succeed. Safway offers the most complete line of scaffold rental inventory in the industry, and there are a variety of rental, lease and purchase plans to meet your needs. We also offer financing options. About Songer Steel Services, Inc.
SONGER SERVICES IS A FIFTH-GENERATION HEAVY INDUSTRIAL GENERAL CONTRACTOR. With decades of experience running steel companies already under his belt, Paul Songer founded Songer Services in 2003. Today, Songer Services offers construction, industrial general contracting, project management, maintenance and engineering services to steel and heavy industrial manufacturers. Whether it’s an emergency outage, scheduled maintenance or complete build, Songer Services has successfully managed projects at various iron and steel producing facilities across the United States, Canada and Europe; hiring or retaining 100% Union labor for our crafts. Safety and safety training, limiting downtime and maximizing uptime are our hallmarks. Songer strives to be the best, safest and most cost-effective choice of heavy industrial manufacturers and integrated steel mills worldwide—for construction or maintenance of blast furnaces, coke ovens, pressure vessels, power piping systems, and more. About Superior Construction Company, Inc.
Superior Construction Co., Inc. brings more than 80 years of construction expertise to the multiple markets we serve throughout the United States, with a heavy concentration in the greater Midwest and Southeast. Our forces operate with the quality and efficiency of construction professionals who are truly passionate about building for the future. From our humble mason-based roots in the early 1900s, Superior Construction has expanded into the largest markets in the nation, including energy, industrial, petrochemical, transportation and water. We utilize decades of experience and expertise to bring innovative techniques and progressive solutions to the unique challenges that our projects present. Of particular pride and differentiation in the industry, Superior Construction was founded – and continues to be owned and operated – by the Largura family. We are now in our fourth generation of management with Nick Largura as our CEO. We are proud to be one of the handful of contractors who began building Northwest Indiana around the turn of the century and are still going strong today. Superior Construction continues to perform for the steel mills and refineries that are the lifeblood of our region. We have also constructed many of the landmark interchanges that line the I-80/94 expressway. Today, Superior continues to stand at the edge of the construction industry’s future, while keeping strong ties with its past. 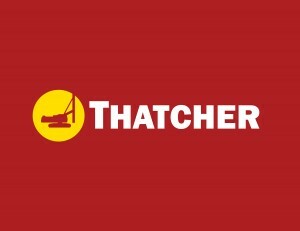 Thatcher has been in the construction business for 70 years. The backbone of Thatcher is our employees. We take great pride in our employees, and in turn some of our employees are 3rd generation. Our engineering background (including PE, SE, PhD) of the officers and key personnel has resulted in innovative solutions to job problems, as well as the development of specialized equipment. We have completed over 3500 successful jobs in the upper Midwest. We have performed pile driving, and designed and installed various deep foundations, earth retention and marine construction projects throughout Indiana and Illinois. Our experience downtown Chicago is unmatched. Our recent projects in Illinois, Indiana, and Wisconsin have been for clients as varied as energy facilities, hospitals, universities, and entertainment venues. We are pleased to offer our services on large and small contracts, working to design-build directly with the owner, or to function as a specialty contractor. We offer diverse services including earth retention system design and installation, micropile installation, driven pile installation, and low vibration installation techniques. At The Ross Group, our approach to construction is simple: deliver a world-class team that fuses our passion for construction with an understanding of how to translate business and operational needs into state-of-the-art, client-centered facilities. The successful combination of our "Customer First" approach combined with nearly 40 years of design build, general construction, roofing and siding expertise is how we meets and exceeds the needs of our clients. By using the latest technology and best practices, we build trust, understanding and mutual respect with our clients. We Listen. We become your resource by answering questions, helping you assess challenges and evaluate potential solutions. We build relationships before we build buildings and we quickly become vested in your success. Most importantly, we treat your passion and vision as the foundation for the buildings we design, build and deliver. We deliver excellence in both construction services and in long-term business relationships. The cornerstone for The Ross Group Inc. was laid nearly 40 year ago when our current president, Ross Pangere, began working in the construction industry. Ross spent 20 years helping to expand a family run business, working his way up from construction manager to president of the company. Through his leadership, the company grew 10 folds, prompting Ross to venture out on his own for new opportunities. Since 1994, The Ross Group, Inc has provided world class customer service within the commercial and industrial industries in the areas of design-build construction, pre-engineered metal buildings, steel erection & repairs, architectural & conventional metal roofing & siding and single ply & built-up roofing systems. 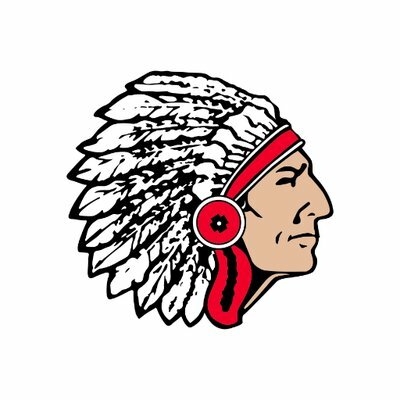 We are strategically headquartered in Portage, Indiana to provide unparalleled service to you while continuing to grow our relationships throughout Northwest Indiana and Chicago. At the Ross Group, Inc., "We Listen...We Educate...We Build." 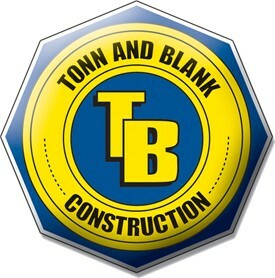 In 1922, Tonn and Blank Construction Company, was founded in Michigan City, Indiana, as a partnership between C.W. Tonn and J.G. Blank. By 1936, Tonn and Blank was providing construction services for area clients began traveling throughout the country building for clients in Texas, California, Pennsylvania, New York., and eventually building in 49 states. Today, with two offices and more than 300 employees, we continue the tradition of innovative construction practices and implementing of new technologies such as "green" construction (LEED), integrated project delivery (IPD), and Building Information Modeling (BIM). Thanks to a portfolio of work with clients who ask us to join them in the earliest stages of a construction project, we have earned unique insights into the financial and operational needs of our client's construction investment. Starting at the point of strategic planning, space programming, and feasibility studies, Tonn and Blank Construction becomes integral in helping clients achieve their business plan. Track Service Inc. (TSI) is headquartered in Griffith, Indiana. As our name implies we are Railroad Track Contractors. Performing all facets of Railroading, from New Construction and Maintenance to Railroad Track Removal, Inspections, and Materials. Our Primary emphasis is for Industrial Facilities. We have performed various types of railroad projects for Steel Mills, Utility Companies, Manufacturing Firms, Chemical and Oil Companies, Food and Warehousing Facilities, and many New Developments in the States of Illinois, Indiana, Wisconsin, and Michigan. We have executed work off all of the Major Serving Line Railroads, and are on their list of recommended Contractors to perform any railroad trackwork. All of our employees are Union, trained in Federal Railroad Association (FRA) Workplace Safety, and OSHA 10 Hour. The utilization of our own specialty equipment contributes to customer satisfaction on every project. Our knowledge in this field assures customers of prompt, efficient, and professional service in any Railroading situation. We are available twenty-four (24) hours per day, seven (7) days per week. Our History and Experience created our Tag Line: "PROUD OF OUR PAST - FOCUSED ON YOUR FUTURE"
About Tranco Industrial Services, Inc.
Tranco is a leading provider of railroad solutions for the steel industry. Offering design and build turnkey solutions to railroad problems. Able to meet and exceed the rigorous, safety and quality demands of the industry and offer real life solutions, improving capacity, product flow, and overall mill efficiency. We provide inspection and construction of tracks meeting AREMA standards for all classes of railroads. With over 10 years experience in the steel industry, Tranco is proud to have worked with many of the foremost steel producers, and look forward to working with you. Vidimos, Inc. is a union industrial sheet metal job shop. Based in the heart of Lake County, we are located to fulfill the needs of the light and heavy industry in Northwest Indiana. Our years of quality experience, focus on safety and continual training, and quick delivery all contribute to our excellent reputation in the industry. Installation of ductwork systems including ventilation, dust collection and process ducting is an important service provided by Vidimos. However, we also erect chutes and other specialty sheet metal fabrications as well as install jacketing/lagging over insulation. With over 50,000 square feet of fabrication space, Vidimos manufactures ductwork, stacks, tanks, chutes, miscellaneous structural steel and other custom fabrications. Besides standard sheet metal shop equipment, we also own and operate two laser burning machines, a 10' x 40' high definition burning machine, multiple press brakes including a 12' long 380 ton unit, multiple shears including a 5/8" x 16' plate shear, and multiple rolls including a 3/4" x 10' plate roll. Specialty equipment includes a vibratory stress relief unit as well as a sheet corrugator. Overhead cranes provide most of the material handling capabilities with three of the six cranes being ten ton capacity. A 25 ton yard crane allows movement of loads in our yard. Emergency work is an integral piece of the service Vidimos offers. Besides being able to man field work on an around-the-clock basis, the shop operates two shifts year round. 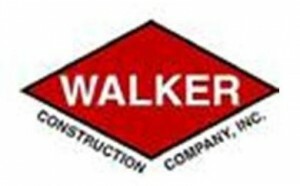 About Walker Construction Co., Inc.
About Walsh & Kelly, Inc.
Walsh & Kelly, Inc. has been serving Northern Indiana for over 85 years. We have offices located in Griffith and South Bend, Indiana. Five hot mix asphalt plants operating from permanent locations stretching across the northern part of Indiana, from the Illinois state line east to Elkhart County, ensures efficiencies across a broad geographical area. Our mission is to provide quality service and quality finished products to our customers, with an absolute commitment to safety, and to be the employer of choice. We specialize in asphalt paving, from interstate highways to small commercial parking lots. In addition to being an industry leader in asphalt paving, we possess an expertise in performing site excavation, providing and placing aggregate base, and pouring concrete curbs, sidewalks and pavement. In 1974, Ben Ziolkowski founded Ziolkowski Construction Inc. in South Bend, Indiana as a commercial contracting business. Today, owners Bill Favors and Chuck Lewis have carried on the tradition of quality Ben initiated nearly 35 years ago. Over the years, we have grown to become a major contractor in the Michiana area, employing nearly 500 skilled people in six divisions: General Contracting, Interior, Masonry Contracting, Masonry Resoration, Painting, and Design/Build. At the core of our business are professional staff managers and experienced field personnel dedicated to top-quality performance. We work as a team, which enables us to better research projects, find the right product for the client, design in the most cost-effective manner and finish each project on time. Our pro-employee management philosophy keeps morale high and continually empowers our people to do their best. Everyone here works together for the betterment of the customer.